Since my childhood, I was more interested in crime and detective stories than in any other genre, and I have three reasons for doing so. First, crime stories depict an honest picture of life around. Whether we like to read any other genre, we cannot deny that crime fiction is the most relatable form of fiction in the present day world. Second, it develops a profound respect for the legal authorities who are doing their job by risking their lives to maintain civic order. Last, and the most important reason, is that it gives us a hope that nothing wrong will ever go unpunished. I am a normal person just like you. I like tea and rain, and I am obsessed with cricket, which is a form of sport mostly popular in Common Wealth countries. I spent most of my time in reading new books fiction and non-fiction both. I also love cooking food for my family which includes my parents, my siblings and my nephews and nieces. I am planning since forever to get a dog, but I am unable to get one so far as my parents are allergic to it. Perhaps sometime in future. I have recently started studying Forensic Sciences, and I think it will help me in giving an authentic picture of crime scenes and evidences to my readers. My inspiration to write Crime Fiction? 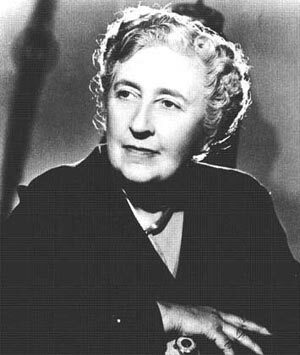 Well, there are many, but mostly, this lady has inspired me to write murder mysteries. My teenage would not be the same without her. For this reason, I dedicated my first book, The Killing Scripture, to her. This is the most important question, i guess. I write murder mysteries with the sole focus on solving the case and catching the killer, along with the touch of modern technology. There is no depiction of violence and gore, or any sexual content. The series I am writing these days, Alicia Stone Series, has a love story in it as well, but it will grow in future books as the protagonist is going through a commitment issue these days. What my Patreons can expect? I have planned to write at least one or two short stories every month, along with the novels which usually come out every three to four months. If you like to read murder mysteries, whether old school or tech-based, feel home to be a part of my journey. Where do I see myself in next 5 years? Hmm. It's complicated. If I look back five years ago, I was a different person back then, and being a writer was not even a dream in my life. It was 2013 when I first started writing on a regular basis, but I kept thinking that its not good enough. I tried to get into MFA programs but didn't secure the scholarship. After trying many options unsuccessfully, I finally decided to get into self-publication. I know its not a writer's dream, but it keeps me motivated to write more and gives me a platform to connect with the readers. In the next five years, I am hoping to turn writing into a full time career. I will hire a professional editor and a critique for my stories.